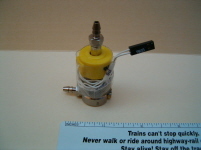 This normally closed solenoid is used in the bypass line of an axle pump. 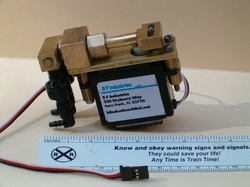 The WLDS electronics system controls the opening and closing of this valve to maintain the required water level in the boiler. Just like the electric pump, an adjustable increased time is available to prevent excessive cycling.